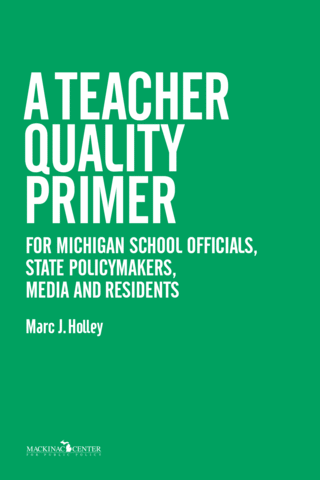 If research on teacher quality suggests that certain characteristics tend to make teachers more effective, the reasonable question is, What reforms can Michigan policymakers use to encourage teachers with those characteristics to join and to remain in the teaching work force? Under the current compensation system, experience and credentials are rewarded. However, as shown in the previous section, the assumptions that these characteristics are related to teacher effectiveness have generally been rendered doubtful by academic research. If policymakers want to improve teacher quality, they should consider policy solutions that will change the current incentive structure and maximize teachers’ effectiveness in the classroom. Specifically, policymakers need to think about how to recruit new teachers who have a greater potential for success; encourage the retention of teachers who have proven that they can raise student achievement; weed out teachers who have been unable or unwilling to raise student achievement; and motivate formerly effective teachers who are not achieving their potential. In this section, I review and recommend incentive-based policies to improve teacher quality. First, however, I examine two often-discussed alternative educational reforms that operate on different principles.